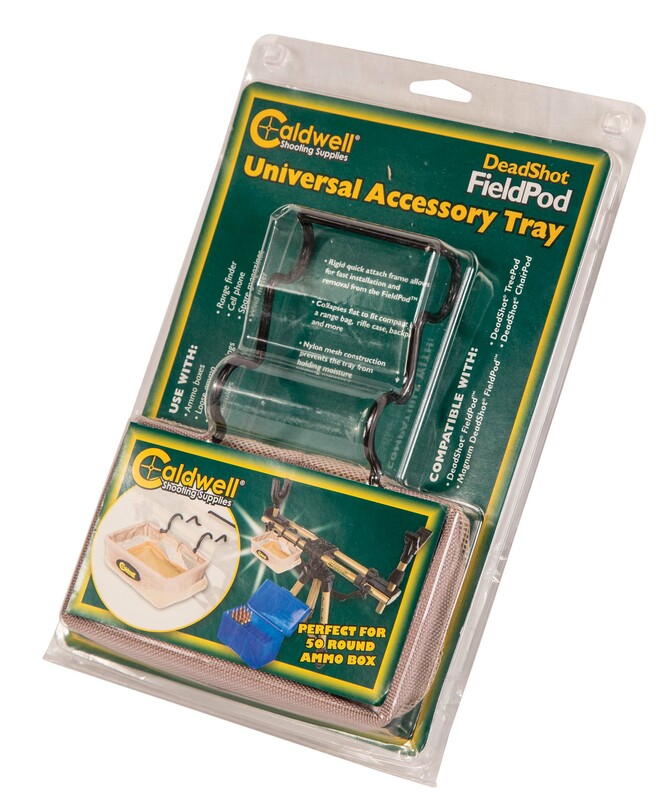 The DeadShot® Universal Accessory Tray was designed to be used with the entire family of DeadShot® FieldPods; Original, Magnum, TreePod and ChairPod. Never again worry about where to place that box of ammo, extra magazine, range finder or binoculars. 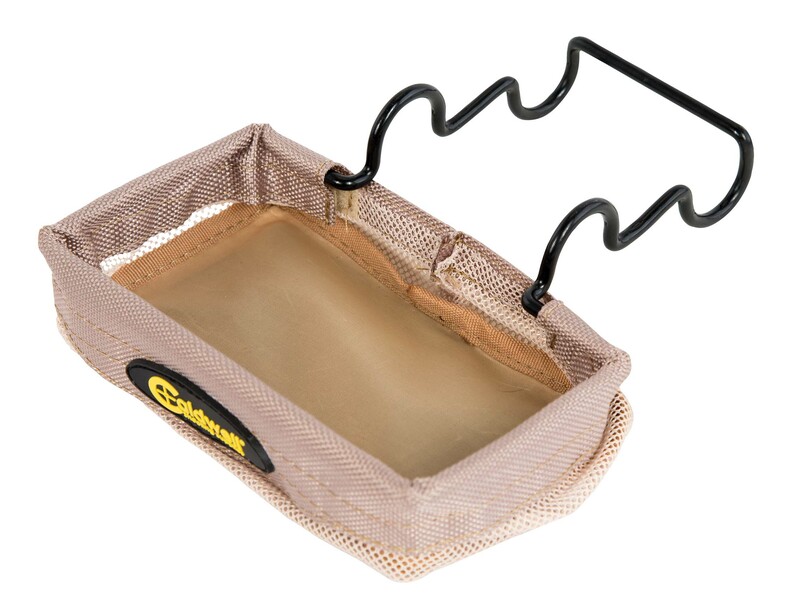 The Universal Accessory Tray is constructed of vinyl dipped steel and durable fabrics. It snaps on the upper rails of any FiledPod rest to provide you that “third” hand for holding your accessories. 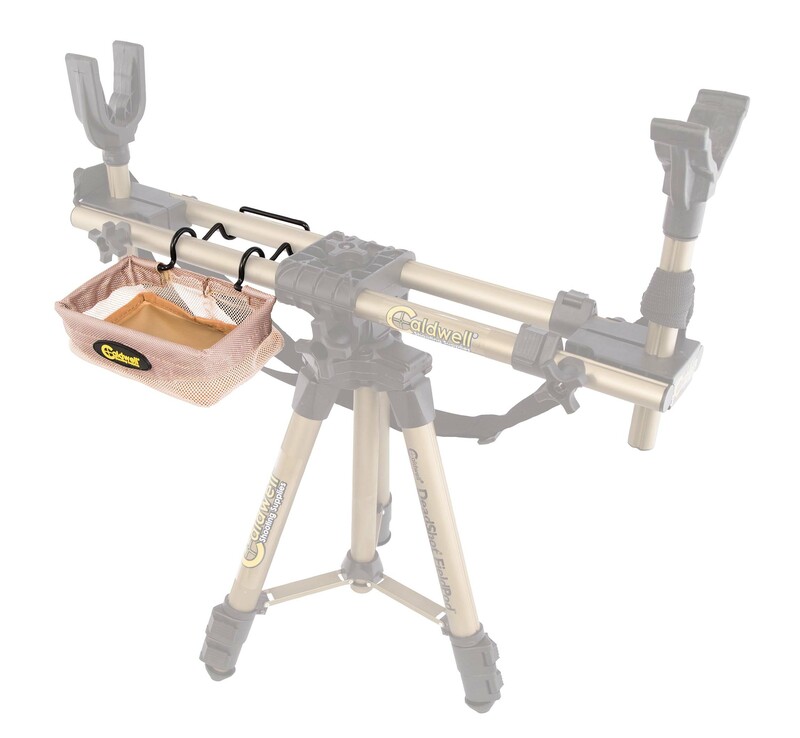 If you need to adjust the position of your shooting rest don’t worry about the tray falling off, it was designed with a snug fit to provide a secure storage platform and cut down on noise. When you’re not shooting the tray easily come off the rest and folds flat for convenient storage.